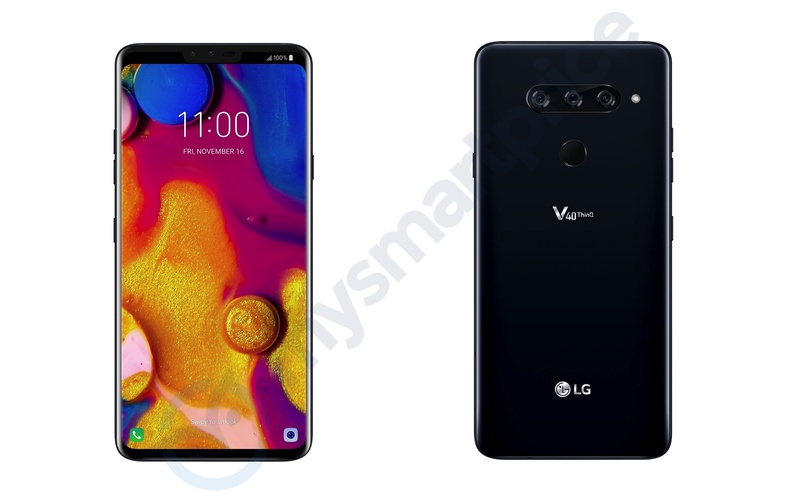 According to reports, the LG V40 may be coming on November 16 with a rectangular notch, tri-rear cameras, two front-facing cameras, and a 3.5mm headphone jack. LG has all but flooded the market with flagships this year, the V30S, V35, and G7 making the company one of the OEMs with the highest number of premium devices on the market, and with nothing special separating the devices. The LG V40 is the next device on the list, and a new report has detailed it. According to the source, the V40 will sport a P-OLED screen, the company’s take on mobile OLED displays that debuted on the V30 last year, albeit with less than satisfactory results. The size and resolution of the display is unknown but we expect it to be a QHD panel, and around the 6.2-inch region. There is, thanklessly, a notch at the top of the display. It’s also not the good type of notch—Essential PH-1, OPPO F9—but the large, unwieldy variant seen on the G7. On the flip side, the notch isn’t completely useless, as it houses two selfie sensors, one of which will likely be an IR camera for 3D facial recognition. At the rear of the V40 is a tri-rear camera setup. This was brought to the mainstream market by the Huawei P20 Pro and will likely be found on the upcoming Huawei Mate and Galaxy S devices. Details of the cameras are unknown, though we can expect one of the sensors to be a wide angle lens. At the right are the power button and SIM tray, while the left plays host to volume buttons and a dedicated Bixby-esque AI button. The bottom sports a USB Type-C port, a loudspeaker, and a 3.5mm headphone jack. Launch details are unknown but there’s a chance we get the V40 on November 16. LG retains its position as one of the biggest OEMs in the world but for how much longer? Over the past two years, the company has released an extensive assortment of devices but none have truly succeeded at making in the market. A combination of a bad reputation with software and regrettably forgettable flagships—most consider the V20 to be the last great LG device—have left the company a few tiers behind companies like Huawei and Samsung. Hopefully, the V40 is a step in the right direction.